Our first white was harvested in October 2013 and bottled in June 2014. 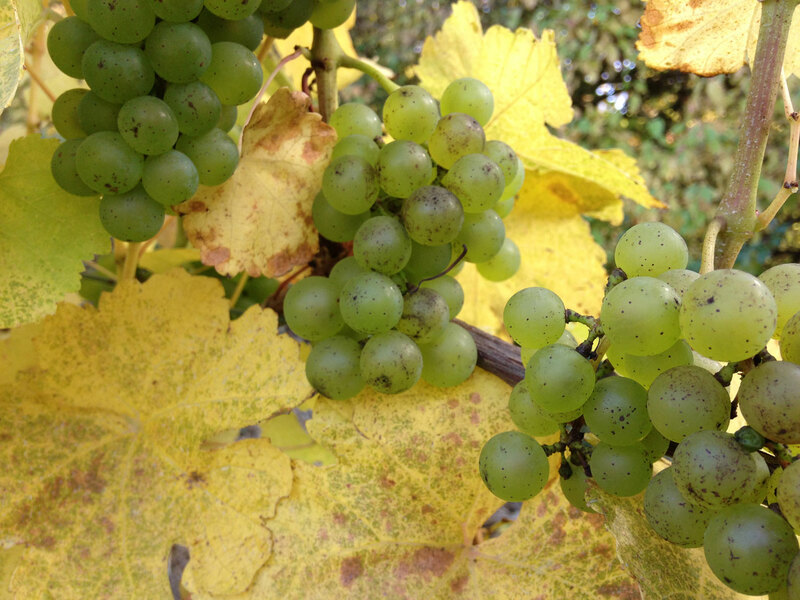 The Silvaner grapes for this wine grow in a 30 year old organic vineyard on shell limestone and Keuper. The grapes were crushed and fermented on the skins for 8 days, gently pressed and the juice filled in an old barrique. Slowly but surely malolactic fermentation took place as the wine was remaining on its full lees. Finally we put the wine in a steel tank and added 5 mg/l SO2 the day before bottling which was done manually on June 7th 2014. The wine is unfiltered and no pumps were used throughout the production. The wine is a little cloudy with a slightly orange color. Due to the long yeast contact it’s wonderfully creamy with discreet tannins and low acid but also a good amount of remaining CO2 balancing it. You might find some pear in your nose although the fruitiness is pretty moderate. There is ginger, chamomile and a lot of earthiness to taste. The wine is delicate, clear and very vital. Ich würde gerne ein paar Flaschen des Silvaners kaufen. Wo kann ich diesen Wein erwerben?